The game will kick off at 9pm local time. The club has received an allocation of 4,620 tickets for supporters to purchase. The club also received a further allocation of 243 top-category seats that, in line with UEFA guidelines, will be used as part of the players’ allocation and staff, travelling club staff and VIPs. Important: FC Barcelona have instructed us to write the name of each supporter attending on the ticket purchased. Supporters are advised to take ID to the match as checks will be carried out at the turnstiles when accessing the stadium and checked against the name on the ticket. Please do not attempt to remove the name from the ticket as you may be refused entry. All seats within the visitor section of the stadium are either numbered odd or evenly. For example, if you purchase seats numbered 2, 4 and 6, or 1, 3 and 5, you will be seated together. The club will continue to implement a ticket collection process for this fixture. Around 600 supporters will be selected to collect their ticket from a designated location in Barcelona. Bookings will be selected at random and all supporters within that booking will be required to collect their ticket. Further collection details can be found below. 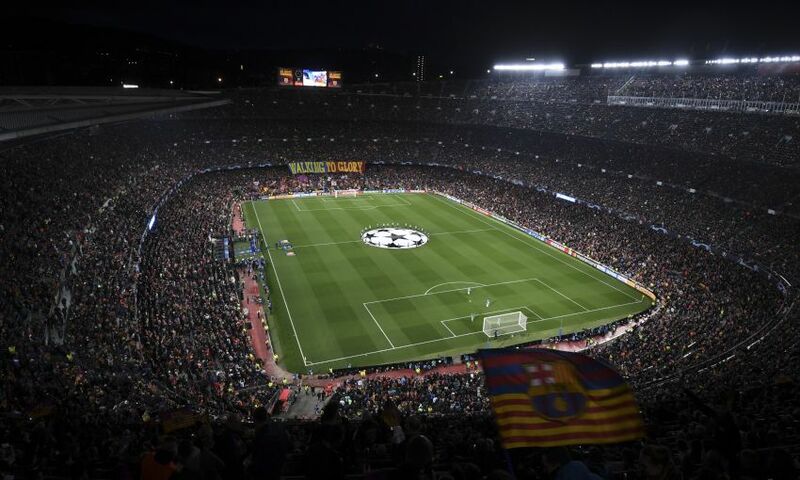 FC Barcelona have priced their tickets for visiting supporters at €119 (£103). LFC will subsidise the price of each ticket by €31 (£27), therefore our travelling supporters will be charged €88 (£76) per ticket. Sir Kenny Dalglish Stand executive box holders, premium level and centenary club members should contact the hospitality department on 0151 264 2222, option two. Wheelchair-disabled supporters should register their interest no later than midday on Friday April 19. Tickets will be available to season ticket holders, Members and fan card holders based on attendance at FC Porto (April 17, 2019) Bayern Munich (March 13, 2019), Paris Saint-Germain (November 28, 2018), Red Star Belgrade (November 6, 2018), SSC Napoli (October 3, 2018), AS Roma (May 2, 2018), Manchester City (April 10, 2018), FC Porto (February 14, 2018), Sevilla (November 21, 2017), Maribor (October 17, 2017), Spartak Moscow (September 26, 2017). Attendance at two or more games: from 8.15am on Saturday April 20 until 10.30am on Tuesday April 23. Attendance at one or more games: from 11am on Tuesday April 23. The above sale will take place on a first come, first served basis and supporters can purchase one ticket per person up to a maximum of four tickets per transaction. Every supporter attending the game must provide the following information. The correct details must be provided for the following reasons. The ballot to select the 600 supporters who must collect their ticket in Barcelona will take place after the main sales have ended. Therefore, all supporters must select one of the following fulfilment methods during the booking. Ticket office collection windows will be open until 8pm on Thursday April 25. If choosing to collect on Friday April 26 (Liverpool v Huddersfield Town matchday), we would actively encourage supporters to collect prior to 6pm, if you arrive after this point your ticket collection may be refused. Please note: the fulfilment method chosen will be disregarded for those supporters selected to collect their ticket in Barcelona. Every supporter selected to collect their ticket in Barcelona will be sent an email and SMS on Tuesday April 23 to confirm they have been selected. A further email and SMS will be sent on Thursday April 25. A full list of Q&As can be viewed here. We would also like to remind supporters that important safety information for supporters travelling to Barcelona will be provided in the lead-up to the game. 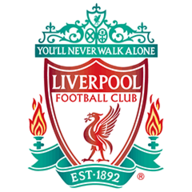 The information provided is in conjunction with Spanish authorities and LFC club officials, and we strongly advise that you follow all the information and instructions given. For a step-by-step guide to purchasing tickets online, click here. Who will the Magic Man go for this weekend? The weekend gets off to a blockbuster of a start as Manchester City and Tottenham meet once again, live on Sky Sports, just days after their pulsating Champions League encounter on the same ground, with league points very much the priority now for title-chasing City, as well as Spurs in their pursuit of a top-four finish. 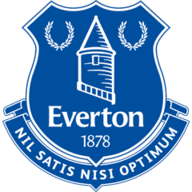 Everton's clash with a Manchester United side who have won just two of their last seven in all competitions gets Super Sunday up and running, before The Run In continues as Liverpool travel to relegation-embattled Cardiff, knowing victory will keep the pressure on City with every point so vital. Cardiff's crucial win over Brighton in midweek has seen them back in with a chance of staying up, too. I can't seen anything other than a Man City win. Spurs don't have the biggest squad in the world and the other night will have taken a lot out of them. I think both teams changing things up will still result in a City win. It is not a matter of revenge. 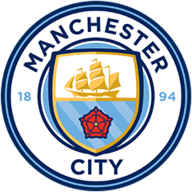 It is a strange one because if you would have asked them last week City would rather have won the Champions League and Liverpool the league. Now it could be the other way around. Tottenham could easily rest players for this game and then just make sure they beat Brighton. With their injuries, they need to start prioritising their games now, and look at what games they will win and which they are less likely to win. It is not every day they get to a Champions League semi-final. They will rest players after such a quick turnaround. 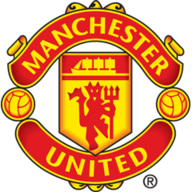 Everton vs Manchester United - Renault Super Sunday from 12.30pm on Sky Sports Premier League; Kick-off 1.30pm. This will be a battle for Liverpool, make no mistake about it. 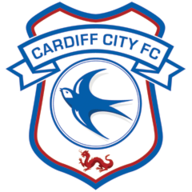 That was a huge football match for Cardiff to win the other night at Brighton, and they will now be fighting for every single minute. It didn't look like they were going to get there, but they have done so well to get to this point. Liverpool, though, are on fire. They will take some stopping and just have too much quality for Cardiff. Should Cardiff score it will make things interesting, but I just cannot see it happening. It sounds like a walk in the park for Chelsea this but it will be hard. I just don't see how you stop [Eden] Hazard in the form he is in. 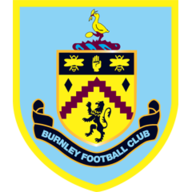 Someone has to tell Maurizio Sarri that they cannot play with a false nine, and I don't think he will against a Burnley side that are unlikely to come to Stamford Bridge and really have a go at Chelsea. Their hard work is done this season. Arsenal need to win this, they have to. The top four is in their hands still. Palace are a funny team - they have flattered to deceive and should not be where they are. They can turn in a performance, but not this time. Arsenal will be able to start strongly at home and be too much for Palace. The club believes parity of pricing is the most logical approach and remains committed to working with UEFA, ECA (European Club Association) and other member clubs with a view to introducing a more structured ticket pricing process for Champions League matches. 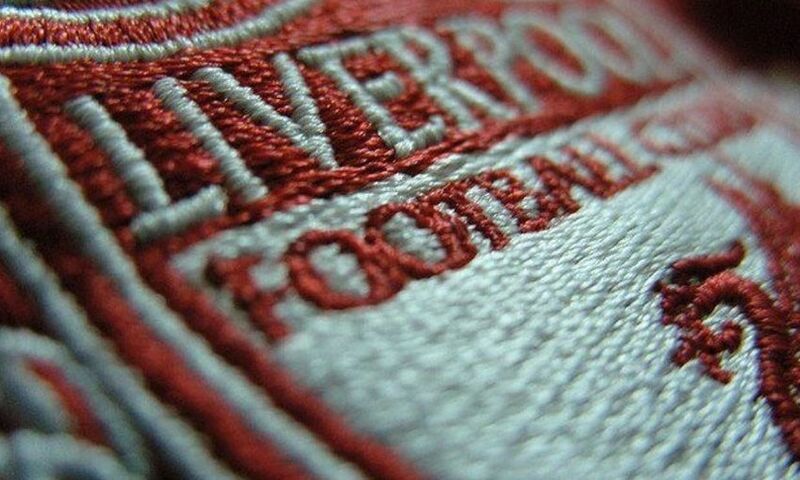 Full ticket sales details will be published in due course on Liverpoolfc.com. Liverpool are in talks with Tottenham over using their new stadium to host a lucrative pre-season friendly to help Jurgen Klopp‘s preparations for 2019/20. 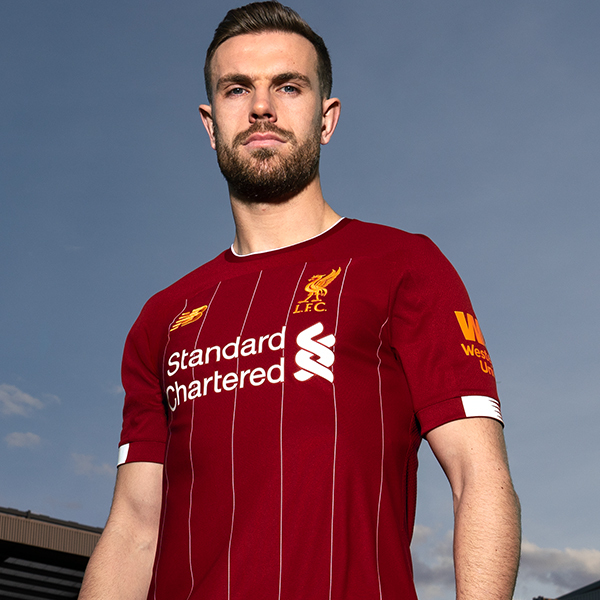 The Reds unveiled the home kit they will be wearing next season on Thursday morning, recalling the trophy-laden 1980s and honouring the legendary Bob Paisley. They will be hoping this can be adorned with gold with Klopp’s side still pushing for glory in the Premier League and Champions League, meaning the new campaign could see them defend their crown. Liverpool are already set to tour the United States in the summer, but further friendlies can be expected both in England and, possibly, elsewhere in Europe. And according to the Telegraph, this could see them play at the Tottenham Hotspur Stadium, due to reservations over the state of the playing surface at Anfield. With Anfield hosting a series of gigs over the off-season, the decision has been made to forego a showcase friendly like last August’s clash with Torino and instead head to the capital. 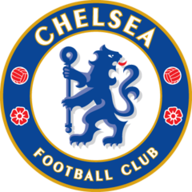 Their opposition this time is likely to be Napoli, and the meeting is pencilled in for July 28, just under two weeks before the start of the Premier League season. “From Spurs’ perspective, the arrangement could also make financial sense,” writes Chris Bascombe. 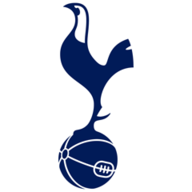 The Tottenham Hotspur Stadium, which opened properly for this month’s 2-0 win over Crystal Palace, has received widespread praise for its facilities. 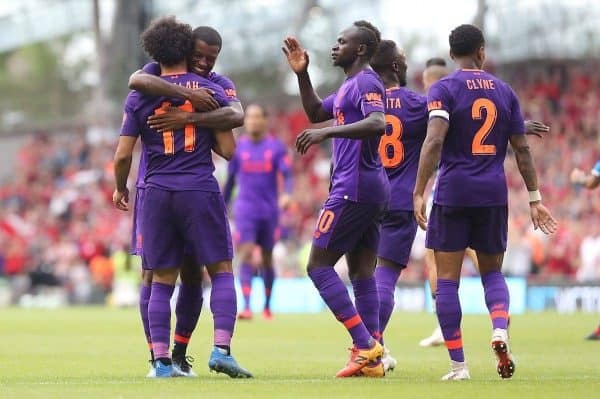 Liverpool played Napoli at Dublin’s Aviva Stadium last pre-season, with goals from James Milner, Gini Wijnaldum, Mohamed Salah, Daniel Sturridge and Alberto Moreno earning a 5-0 win. The two sides then met twice in the Champions League group stage, each winning once, with the scoreline 1-0 both times. We round up the latest Liverpool news and transfer rumours on Thursday, following the Reds’ 4-1 victory over Porto. According to Marca, via Sport Witness, Liverpool are monitoring the progress of Ajax left-back Noussair Mazraoui. The 21-year-old has been a key performer for the Dutch side this season on their way to the Champions League semi-finals, making 35 starts in all competitions. The Reds are being strongly linked with his signature, along with Man United and Arsenal, with Ajax’s brilliant young team likely to be dismantled come the summer. Alberto Moreno is all but certain to leave Liverpool when his contract expires at the end of the season and Mazraoui could be a strong backup option to Andy Robertson. 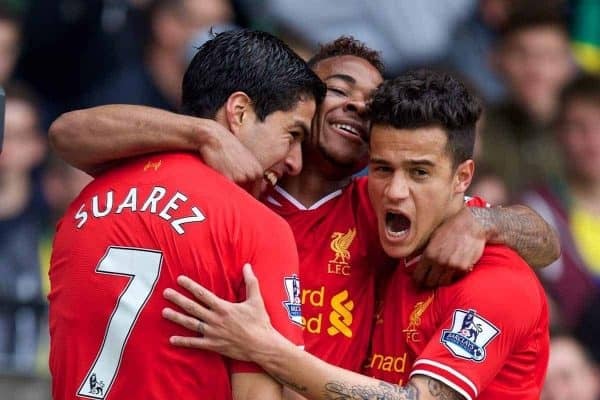 There will be endless narratives flying around in the lead-up to Liverpool’s Champions League semi-final with Barcelona, not least the prospect of Philippe Coutinho and Luis Suarez returning to Anfield. Jurgen Klopp has given his opinion on the pair, saying his Reds side will be coming up two legends at Anfield. “For them, for these two boys, it’s very special. For us, it’s special,” Klopp told Viasport. “They are both Liverpool legends, that’s brilliant. “But I think it will not be a friendly game so we have to fight, we have to work, they will do it as well. The anticipation is already unbearable—if only there was a Premier League title race to focus on instead! Reds to Bid for Chiesa? Gazetta dello Sport claim that Liverpool have stepped up their interest in Federico Chiesa. The highly rated Fiorentina youngster has been loosely linked with the Reds in the past, following a standout season in Serie A. The report states that Juventus are still favourites to sign the 21-year-old, but Liverpool have not given up hope at all, with “those who are well informed” claiming they have made an enquiry. Chiesa seems likely to remain in his homeland for the time being, but his vast potential means he would be a hugely exciting purchase should that change. 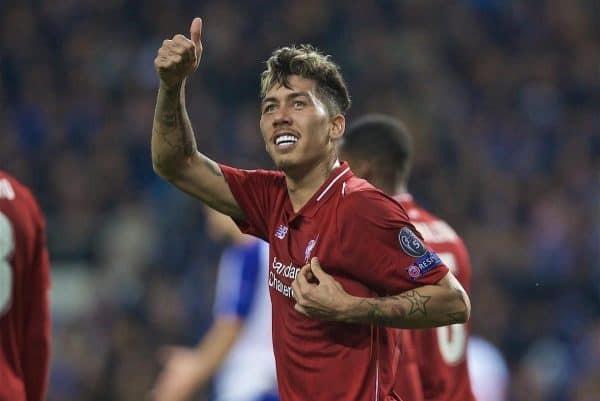 Roberto Firmino has been nominated for the Champions League Player of the Week award again, despite only playing 45 minutes against Porto. The Brazilian was superb in his second-half cameo at the Estadio do Dragao on Wednesday, scoring a header and impressing in all facets of his game. Also up for the award are Ajax prodigy Matthijs de Ligt, some bloke called Lionel Messi and Tottenham talisman Son Heung-min. You can vote for Firmino here, which would see him take the prize for the second week running. 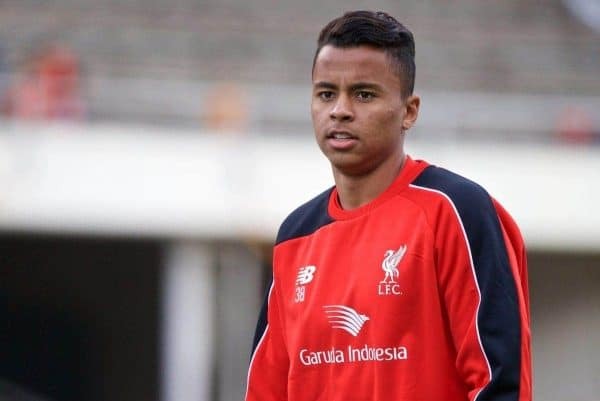 Liverpool loanee Allan Rodrigues de Souza wants to remain at Fluminense for the foreseeable future, which should come as no great surprise. The Brazilian is on a short-term spell in Rio de Janeiro, but he looks unlikely to have a future at Anfield due to UK work permit issues. “For me, I would be here for two or three years. But it does not depend on me alone. “I want to stay and show my football. I hope you have an agreement with Fluminense to stay a little longer. 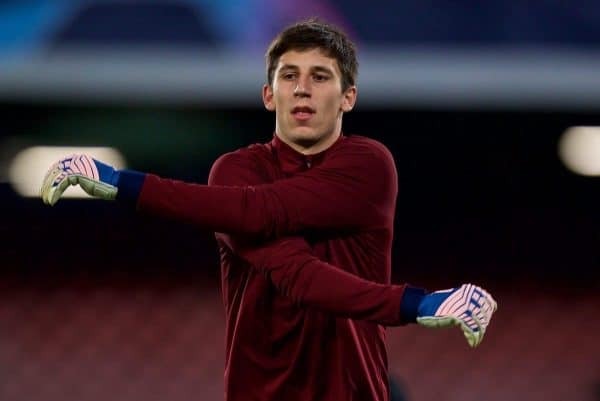 Kamil Grabara is on loan at Danish side AGF Aarhus and the goalkeeper suffered a nightmare against Vejle BK earlier this month, finding himself at fault for both goals in a 2-2 draw. “I follow my local team AGF who is playing in the Danish Superliga. “Last transfer window we rented ‘keeper Kamil Grabara from you. “He has been absolutely immense and has a big share in us already securing a stay in the Superliga. “I know you have one of the best in Alisson, and have no worries in this position for some years, [but] just wanted to tell you he has been very important for us. It’s brilliant to see that Grabara has bounced back and is thriving at his current club—he is a ‘keeper of huge potential. Alex Oxlade-Chamberlain is a huge character in Liverpool’s dressing room and his personality has been highlighted during the Reds’ kit launch. 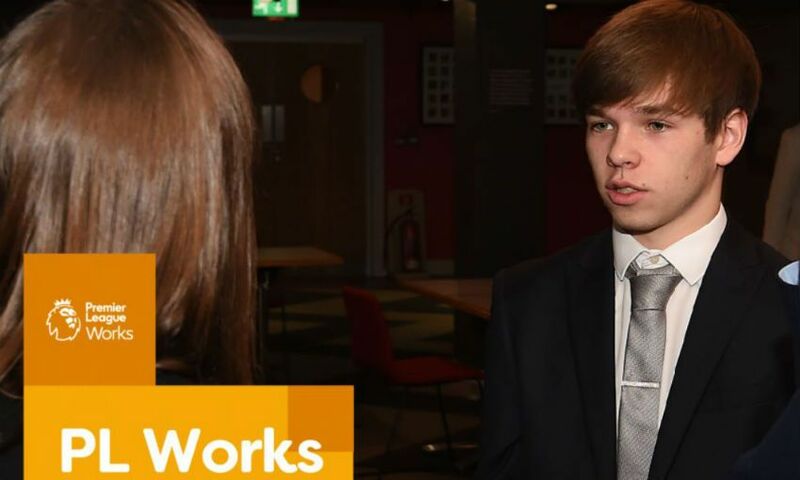 The returning midfielder provides a behind-the-scenes look at what the day entails at Anfield, engaging in some Mickey-taking with Virgil van Dijk and Rhian Brewster. It is clear to see why Oxlade-Chamberlain is so popular and it would be great to see him back on the pitch this season. If not, we will have to wait until he dons the new strip in 2019/20. In recognition of the fact 2019 marks the 100th anniversary of Bob Paisley’s birth, the strip includes a couple of nods to the club’s most successful manager. Perhaps its most eye-catching detail is the return of pinstripes, a feature first used in the early 1980s. Indeed, its primary inspiration comes from the kit worn by the Reds as they won a league and League Cup double in 1982-83 - the final campaign of Paisley’s glorious reign. Additionally, the inside-neck of each jersey includes an inscription of the great man’s signature and the shirt’s swing tag highlights his monumental achievements. Current captain Jordan Henderson certainly approves. “This year’s home kit is incredibly strong… It’s also a really fitting tribute to one of our greatest managers, Bob Paisley, and is a fantastic way to remember all his success,” is the skipper’s assessment. Just as striking is the home kit Alisson Becker and his fellow goalkeepers will wear next season. Mirroring the design of the outfield version, the understated all-black number embossed with gold detailing will see Liverpool’s stoppers return to a colourway last used in 2017-18. It was also revealed on Thursday that Alisson will assume the Reds’ No.1 jersey at the start of the new campaign - and the Brazilian likes what he sees when it comes to the new strip. First introduced to honour the club’s 125th anniversary in 2017, the deeper shade of red adopted by New Balance for Liverpool’s home kit is retained for a third successive season. 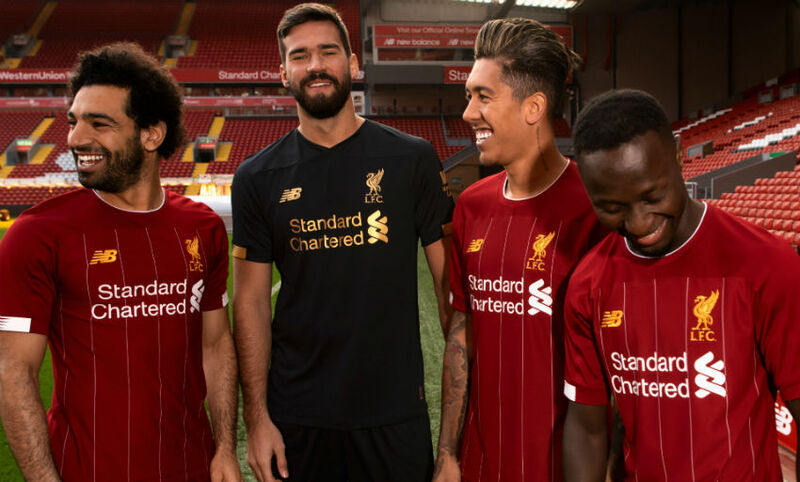 This subtle shift, which has proven popular among supporters, now feels like a cornerstone of the design and will once again ensure the Reds are decked out stylishly at Anfield and beyond. Furthermore, the unique name and numbering font - created with iconic characteristics of Anfield and the surrounding area in mind - seen in European and cup competitions this term will also feature again. Names and numbers will come in white on the outfield shirt and gold on the goalkeeper’s jersey. Pre-ordering the 2019-20 home kit now not only guarantees delivery on launch day, Thursday May 9. Every adult or junior shirt, baby or mini kit bought directly from the club will also come with a £10 LFC Retail voucher to spend between June 1 and 30, as well as an exclusive certificate of authenticity. And if you're a season ticket holder or Member, you're eligible for a 10 per cent discount on your purchase, too. Liverpool set up a semi-final date with Messi and company next month by winning 4-1 in Porto on Wednesday for a comfortable 6-1 aggregate success. Barcelona booked their semi-final spot by beating Manchester United 4-0 on aggregate, Messi scoring twice in Tuesday’s 3-0 home win to extend his incredible goals tally to 45 in 42 games this season. 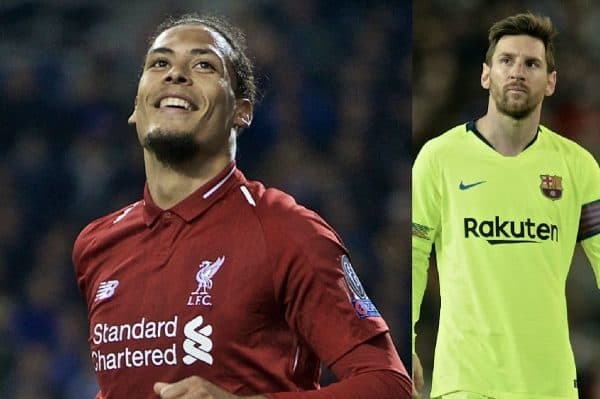 “It’s going to be very hard [to stop Messi],” Van Dijk told the club’s official website. “I think he’s the best player in the world but we’ll see. It’s going to be a great match-up for all of us. “It’s about doing it all together, it’s never one-v-one, it’s never just me against a particular striker. 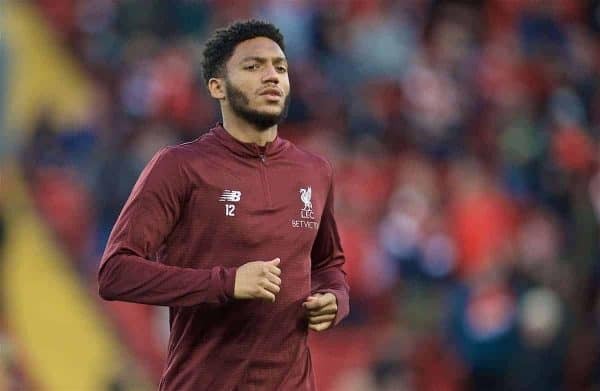 Liverpool’s comprehensive win in Portugal marked the return of Van Dijk’s fellow centre-back Joe Gomez. 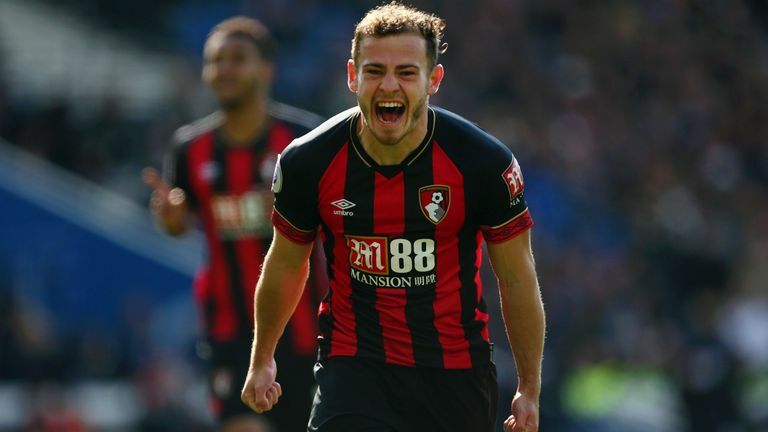 The 21-year-old England international made his first senior appearance since December following a leg fracture when he came on as a second-half substitute. “We haven’t really thought about it [the Barcelona tie] until now,” Gomez said. “It’ll be a difficult game. They’re one of the best in the world, clearly, and they’ve probably got the best player in the world and many others around him. “So it’s going to be a difficult game, but that’s what the Champions League is about. 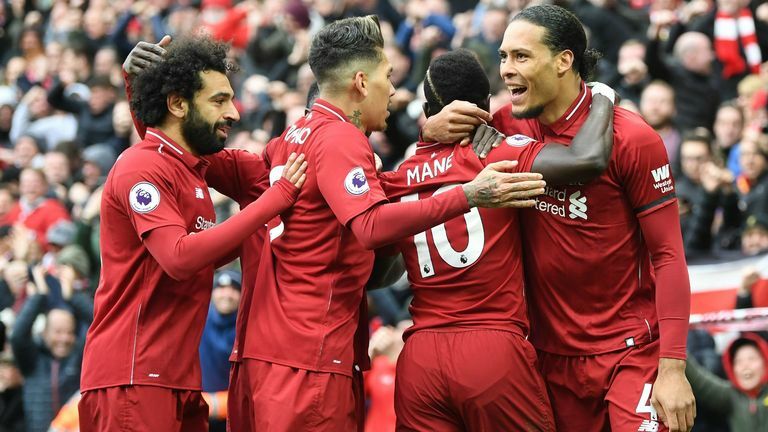 Sadio Mane, Mohamed Salah, Roberto Firmino and Van Dijk were on target as Liverpool, beaten finalists last season, eased into the final four again. Jurgen Klopp’s side have now won eight straight games in their pursuit of a Champions League and Premier League double. “We had to be prepared for them to come out strong and it was difficult in the first 30 minutes,” Gomez said. “But we managed to get a goal and then the boys saw it out and it was a good result in the end. “In our eyes it was 0-0 and we couldn’t come into the game thinking ‘let’s just see it out and try and not let them score and see it out as a 0-0’. Liverpool will travel to Barcelona for the first leg of the semi-final on May 1, with the return at Anfield six days later. 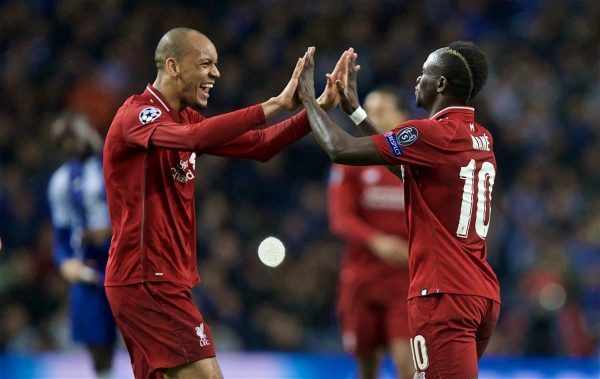 Liverpool and FC Barcelona's successes this week over FC Porto and Manchester United respectively confirmed the two will meet in the semi-finals of this season's Champions League. With 10 European Cup triumphs and 16 final appearances between them, the Reds and the Blaugrana are two of the biggest names in the tournament’s history. Their forthcoming meetings on May 1 and May 7 will be the latest instalments in a rivalry dating back 43 years and spanning eight official fixtures. 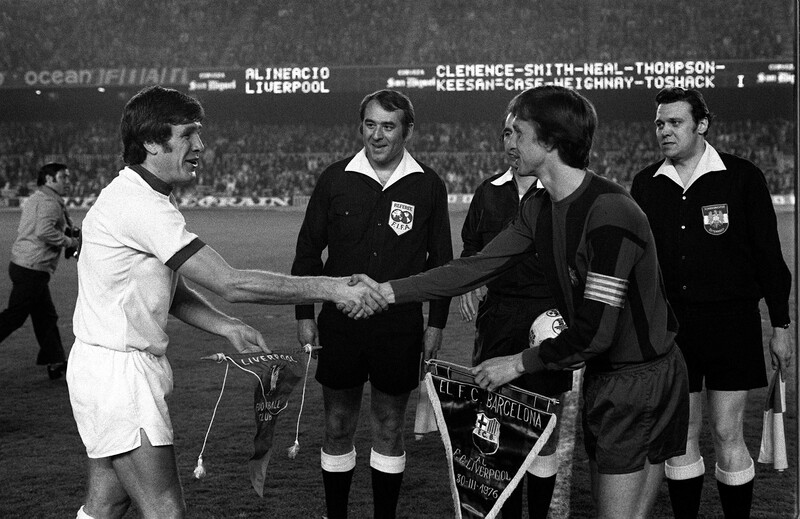 One of the true landmarks in their evolution into a continental superpower, Liverpool’s first encounter with Barcelona came on an ill-tempered night at Camp Nou in the spring of 1976. Bob Paisley’s first European campaign as Reds manager had ended with second-round elimination from the Cup Winners’ Cup at the hands of Ferencvaros, but the following season his team stormed past Hibernian, Real Sociedad, Slask Wroclaw and Dynamo Dresden to reach the semi-finals of the UEFA Cup. Lying in wait was a Barcelona side coached by Hennes Weisweiler but whose true leader was the magisterial Johan Cruyff. The first leg saw Paisley boldly change tact and play Kevin Keegan as an out-and-out striker and not an attacking midfielder, as was standard practice in European competition, and the gambit paid off in the 13th minute when John Toshack flicked a long ball on to Keegan, collected the return pass and buried a finish in the bottom corner. Barcelona were unable to summon up a meaningful reply, leading to a famous comic moment when the frustrated home fans threw cushions onto the pitch and Welsh defender Joey Jones began to throw them back, only to be reprimanded by Paisley. “We thought Barcelona were a bit suspect at the back, so we decided to have a dip at them,” was the tactician’s typically understated analysis. “Let’s face it, Liverpool must get through now,” lamented Cruyff, and so it proved, although the second leg at Anfield wasn’t all plain sailing, Barca’s Carles Rexach immediately replying to Phil Thompson’s strike early in the second half to leave the outcome in doubt right up until the end. The significance of that triumph was clear to see as time moved on, Paisley’s Reds defeating Club Brugge 4-3 on aggregate in the final to secure the first of three successive major European trophies in as many seasons. A quarter of a century would pass before the next collision, at the exact same stage of the same competition. 2000-01 was, of course, the season when Gerard Houllier’s Reds did the treble, and the 1-0 aggregate victory they recorded over Llorenc Serra Ferrer’s Barcelona in the last four of the UEFA Cup was right up there with the most impressive achievements of the campaign. The Barca XI selected for the first leg at Camp Nou not only featured some of football’s biggest stars from that era, just after the turn of the millennium, but is a who’s who of prominent thinkers in the game nowadays – from Spanish national team boss Luis Enrique to Manchester City manager Pep Guardiola and Ajax director of football Marc Overmars, not to mention Patrick Kluivert and Rivaldo. Yet all of that attacking talent was neutralised by a masterful defensive display from Sami Hyypia, Jamie Carragher and co in a goalless first leg where the hosts were limited to half-chances for Kluivert and a 21-year-old Xavi Hernandez. 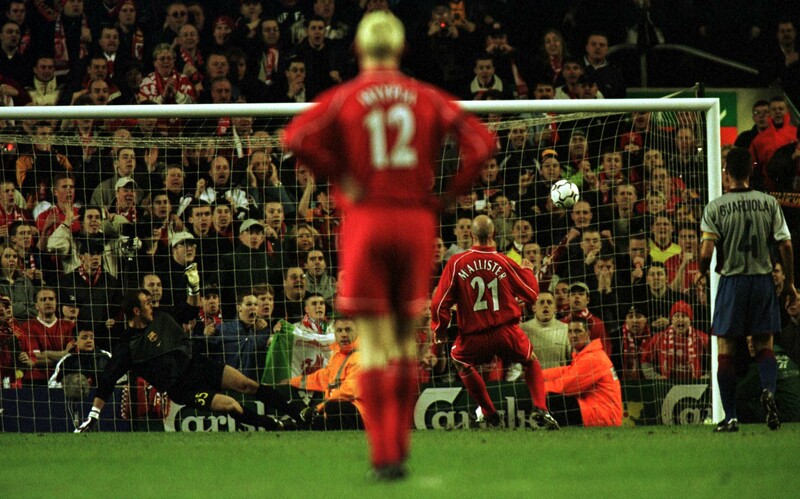 The return was similarly cagey, decided a minute before half-time with a goal scored by Liverpool’s talisman that season. The lyrics ‘your Barca pen’ are still blasted out in city squares and away ends of European cities to this day, celebrating the moment when Gary McAllister stuck a penalty - awarded for a Kluivert handball - past a young Pepe Reina, only three days after the veteran Scotsman had been the author of another epic moment with his last-gasp free-kick winner against Everton at Goodison Park. The Reds certainly made up for any lack of semi-final drama in the final against Alaves, a topsy-turvy 5-4 win at Borussia Dortmund’s Westfalenstadion finally settled by a Golden Goal. These were the days when the Champions League featured a second group stage, and it was there that Liverpool and Barcelona were reunited seven months later. Both sides had topped their respective sections in the first group stage but the Catalans, now coached by the aforementioned Rexach, registered a first victory over Liverpool at the fifth attempt that November at Anfield. Michael Owen, who would be awarded the Ballon d’Or a month later, opened the scoring with a nonchalant chip over Roberto Bonano, but the sides went in level at the break after Kluivert got his revenge with a volley from a delightful Rivaldo assist. Decked out in an eye-catching gold strip, Rexach’s side showed their class in the second half, future Middlesbrough man Fabio Rochemback swerving one into the top corner before Overmars showed his pace to seize on a long pass and round Jerzy Dudek. The return, played a full four months later in March, was a much more humdrum affair, but the outcome – another 0-0 at Camp Nou – was satisfactory for both parties, as both ultimately progressed ahead of Group B rivals AS Roma and Galatasaray. Liverpool, taking part in Europe’s premier club competition for the first time since 1985, would be eliminated by Bayer Leverkusen at the quarter-final stage, while Barca fell to arch-rivals Real Madrid in the semis. The fourth chapter of this tale is perhaps the most fondly remembered from a Liverpool perspective, and not simply because the memories of it are fresher. Back in early 2007, Frank Rijkaard’s Barcelona were the eminent power in European football – Champions League holders, reigning La Liga champions and neutrals’ favourites thanks to their slick style of play and the star power of Xavi, Deco, Ronaldinho plus a 19-year-old Lionel Messi, already distinguishing himself even amongst that stellar company. Stood in their way were Rafael Benitez’s Reds, the team that had lifted Ol’ Big Ears in sensational circumstances two years prior in Istanbul but saw their first defence of the trophy end with a last-16 defeat by Benfica. Benitez, a seasoned visitor to Camp Nou from the early years of his coaching career, devised a daring game plan which entailed pushing John Arne Riise into midfield in a 4-4-2 formation, with the right-footed Alvaro Arbeloa shifted to left-back to try to counteract Messi. The ploy did not appear to be having the desired effect when Deco nodded home a Gianluca Zambrotta cross in the 14th minute, but Craig Bellamy equalised on the cusp of half-time with a header which Victor Valdes caught but couldn’t prevent crossing the line. With Messi struggling to make any impact due to the close attentions of Arbeloa, Liverpool pushed on in search of their second victory at Europe’s largest football stadium – and got it thanks to another unlikely hero’s intervention with 15 minutes left. Bellamy gathered a rebound and quickly directed a pass to the wide open Riise for the Norwegian to instinctively slam a shot into the top corner of Valdes’ net with his wrong foot. 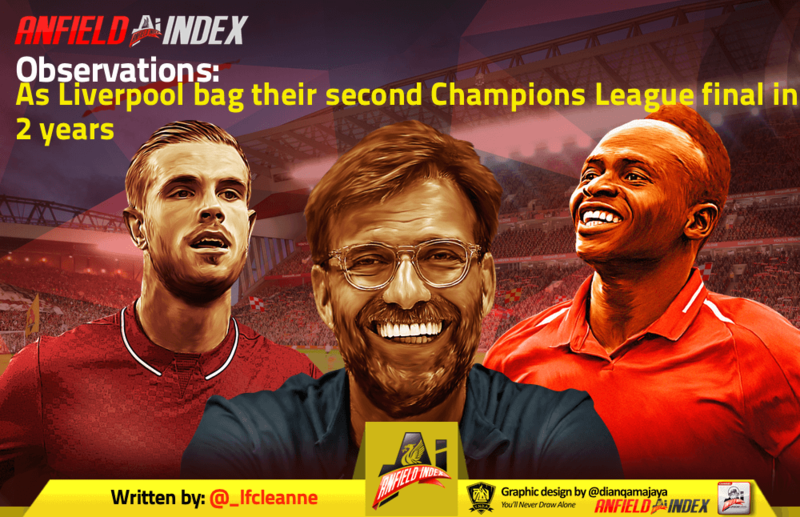 The job wasn’t done yet, but after a tense second leg at Anfield – featuring a particularly excruciating 15 minutes for Kopites following Eidur Gudjohnsen’s late goal – Liverpool and Benitez had kick-started another Champions League adventure which would culminate two months later with a narrow defeat against AC Milan in the Athens final. This wasn’t vintage Liverpool, nor did it need to be. The Reds had done half the job at Anfield and just needed to maintain composure in Portugal, knowing that an away goal would likely be enough to see them through to their second semi-final in two years. It felt like a long 92 seconds between the time the referee had judged Mané’s opener to be offside before VAR overturned the decision; media in attendance were left wondering what was going on, the players on the pitch were scratching there heads and the fans had beady eyes on the officials. Then there was Mo Salah; the Egyptian was celebrating Liverpool’s crucial away goal before anyone else, having caught a glimpse of the VAR screen before uttering to his teammates that the effort had stood. Confusion aside, it was a huge call given the circumstances, sucking the life out of the stem of Porto attacks that had come prior and enabling Liverpool to establish a strong foothold from which they never looked back. It’s been an unprecedented season from the No.10, with a considerable run of form instrumental in Liverpool’s ongoing title challenge. Bagging another goal at Estadio do Dragao, Mané’s strike couldn’t have been better timed, ending a period of utter dominance from the home side. Porto’s fast start had them in the ascendency for the opening 24 minutes and but for Moussa Marega’s dismal finishing, they could well have taken the lead and given the tie a completely different complexion. Credit should be given to Mané for being so alert to the situation, with swift counter-attack culminating in cross-shot of sorts from Salah, later to be poked home by the Senegal international. 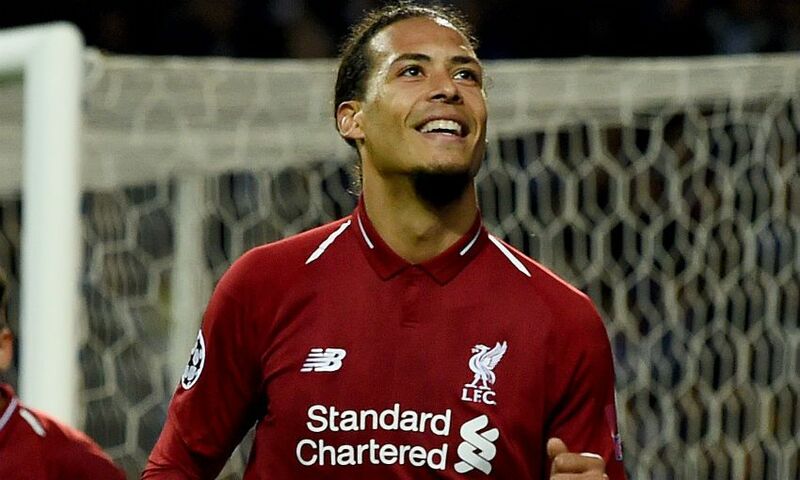 The goal means he has now scored in every round of the Champions League for the past two seasons while netting eight opening goals in the last ten games where Liverpool have taken the lead. A supreme talent, his growing influence on the team has been instrumental to Klopp’s successes this season and will no doubt prove to be for what remains of the Premier League and European run-in. Just as Georginio Wijnaldum and James Milner made a difference against Chelsea at the weekend, offering a calming influence on a frenetic second-half that threatened to let the away side back into the match, Klopp’s substitutions had another telling impact in Portugal. Originally opting for a Fabinho-Wijnaldum-Milner midfield, fresh legs and an experienced trio were considered the best option to manage Porto’s fast start, Jordan Henderson had to settle for a place on the bench. Yet, it wouldn’t belittle his influence, with a substitute appearance providing energy and dynamism to the engine room alongside another assist. Again, it was a perfectly executed cross into the box, enabling Roberto Firmino to head home and cement Liverpool’s dominance. 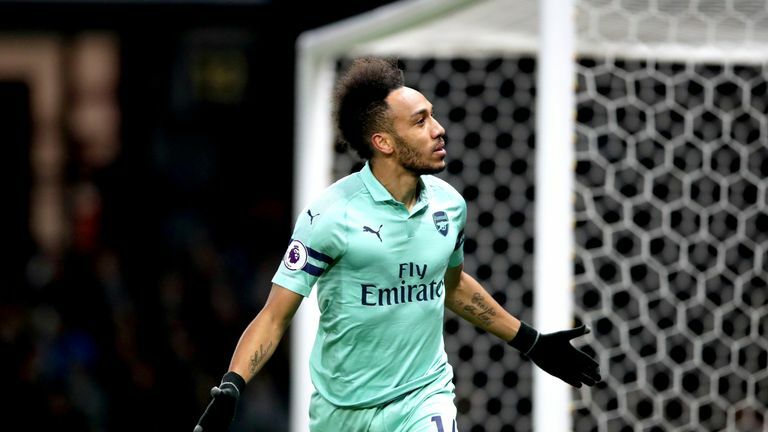 The captain is thriving in the No.8 role, with three assists and one goal in his last three and a half games – a phenomenal output and an indication of what a catalyst he’s been. Elsewhere, Firmino’s first-half introduction was also pivotal, causing a tactical switch that brought new life into the attack. While it’s always nice to see him on the scoresheet, the Brazilian’s most impressive involvement was his off-the-ball, showing a tremendous work-rate to track back and help out in defence. Indeed, he was the instigator for Mohamed Salah’s breakaway goal, winning possession deep inside the Reds half before whipping it out to the right-hand-side with Wijnaldum and Trent in space. Another emphatic Champions League win sees Liverpool reach back-to-back semi-finals, a mark of the huge progress done under Klopp’s tutelage. Taking over a side riddled with deadwood and a lack of consistency under Brendan Rodgers, the German has reconstructed the Reds, bringing in quality recruits with the help of Michael Edwards to instil strong foundations to a frenetic, attacking system. Liverpool are now very much back among the European royalty, sending a clear statement with those they leave in their wake. It may seem normal, it may have become normal, but what Klopp has done at Liverpool is nothing of the sorts. This has been a phenomenal transformation and one that very much deserves to end in silverware this season. Rafa Benitez believes Liverpool “are a clear contender” to win both the Premier League and Champions League, insisting “they deserve” their position. The Reds have furthered their claim for both trophies over the past five days with a 2-0 victory over Chelsea and a 4-1 win at Porto. 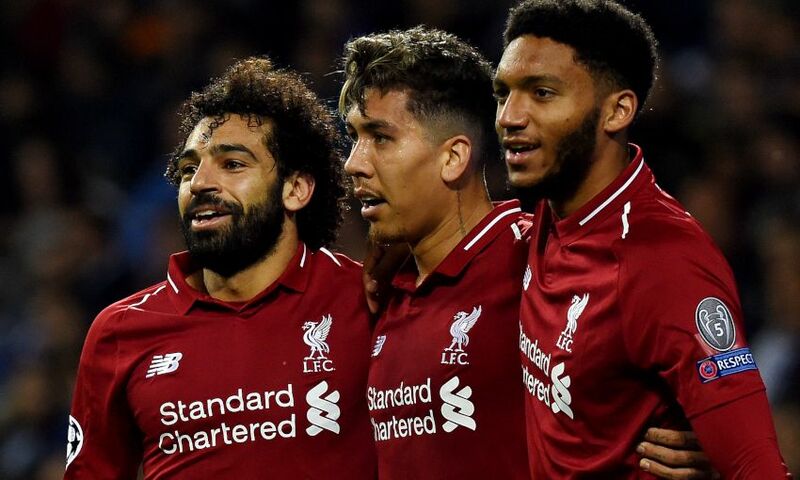 In doing so, Jurgen Klopp‘s side have passed their last ‘big six’ test in the league and booked their place in the semi-finals of the Champions League, where they will take on Barcelona. 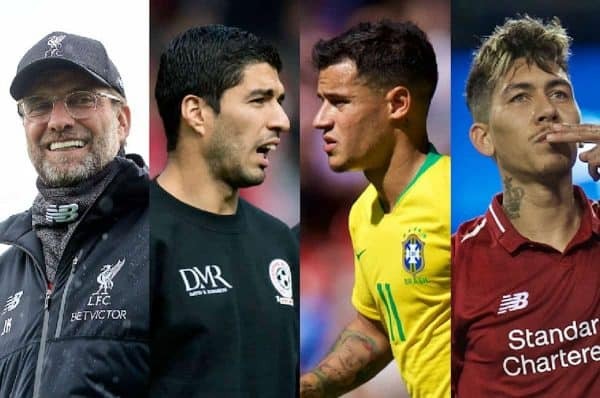 Liverpool are one of the two best sides in England, and one of four standouts in Europe, which highlights the vast progress made under the current manager since his arrival in 2015. 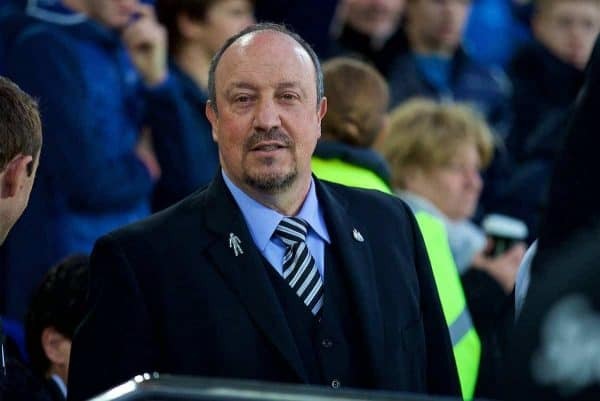 Benitez is certainly familiar with challenging for both domestic and continental honours on Merseyside, coming close to winning the league in 2009 and lifting the Champions League in 2005. And speaking to Radio MARCA this week, as translated by LFC Transfer Room, he has provided a confident take on his former side’s chances. “Liverpool are a clear contender to win both titles. They have the potential to do it,” Rafa said. “Last weekend I watched the game against Chelsea and they play with an intensity and an impressive level. “Mane, Firmino and Salah made the difference, but the whole team plays with great intensity. Rafa’s opinions are always welcome, particularly in this instance as Liverpool continue to convince those outside of Anfield that they can secure silverware. 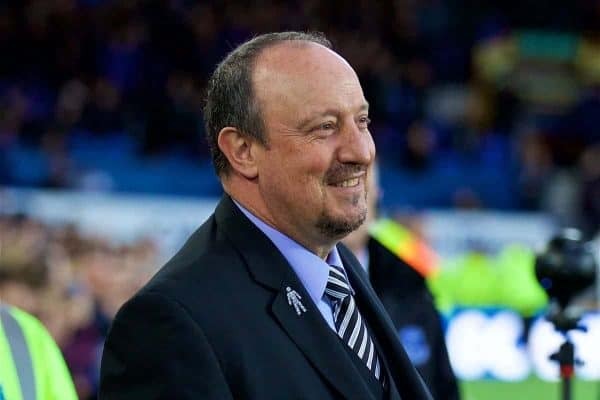 But the fact remains that Benitez’s Newcastle are one of the final four sides the Reds will face in the Premier League, and victory over the Magpies is paramount. 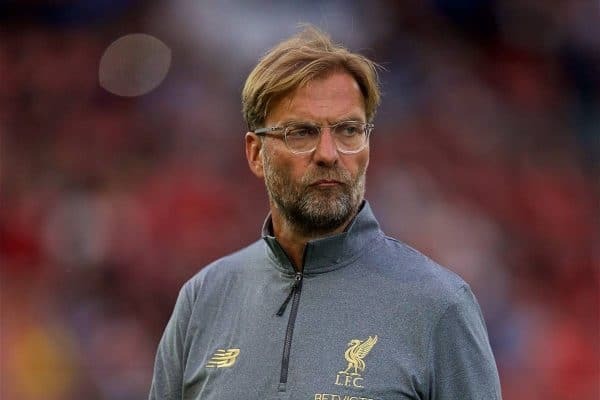 There is no chance the 59-year-old or his players will go easy on Klopp’s side, though by then they could be safe from relegation, with just two games left to play. The hope, therefore, is that with nothing to fight for beyond pride, Newcastle will prove relatively comfortable opposition—as they did on the final day of 2013/14, by which time the title challenge had faltered. Liverpool’s trip to St James’ Park is expected to be moved to a 7.45pm kickoff (BST) on Saturday, May 4, following the scheduling of the Champions League semi-finals.